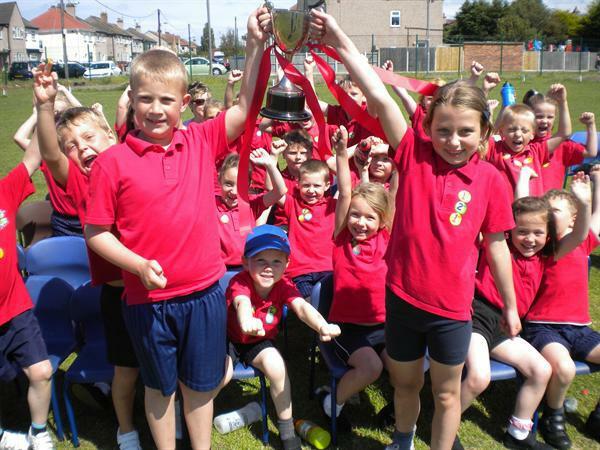 The sun shone for the Infants Sports Day today. House teams Melyd,Deiniol,Asaph and Beuno competed for points in races including traditional races such as egg and spoon and relay races with a tyre push! Well done to Mums and Dads for taking part in their races too! The winning team by only one point were Melyd and team captains Amelia and Elliot accepted the trophy on behalf of their House.